SOUTH BEND, IN – In celebration of Manufacturing Day, General Stamping & Metalworks will open its doors on October 5th to more than 120 students from the South Bend, PHM, Mishawaka and New Prairie schools as part of an effort to change people’s perceptions about today’s manufacturing environment and draw attention to the outstanding opportunities that a career in manufacturing can provide. Planned events include facility tours, technology demonstrations, and hands-on activities with GSM’s manufacturing professionals. Manufacturing Day is an annual national event executed at the local level, supported by thousands of manufacturers as they host students, teachers, parents, job seekers and other local community members at open houses, plant tours and presentations designed to showcase modern manufacturing technology and careers. To mark the event, Mayor Pete Buttigieg will read a proclamation declaring October 5th as Manufacturing Day in South Bend, IN. Following the proclamation, Congresswoman Jackie Walorski will address the students and share her outlook for manufacturing in Indiana. 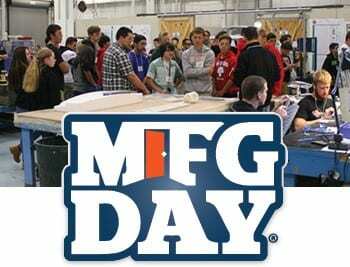 All press and news media are invited to GSM’s Manufacturing Day event, which begins at 9:30 AM, EST. Please contact lori.russo@gsmwinc.com for more information. General Stamping & Metalworks is a leading supplier of fabricated metal parts and assemblies to OEMs across the US and around the world. It provides a proven platform of collaborative engineering, expert fabrication and strategic supply chain capabilities that enable manufacturers to deliver superior products, scale their operations and protect their brands.